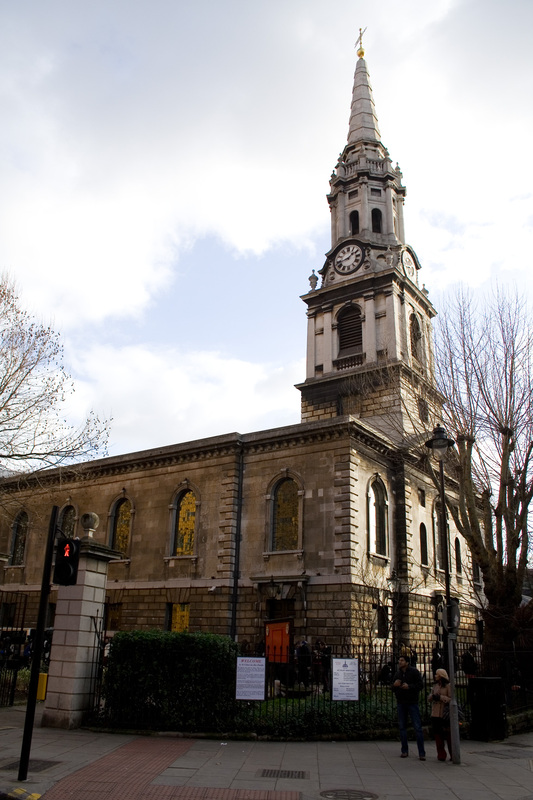 WHAT BETTER WAY to tour London than visiting its historic churches in song. Let’s sing an earlier version, though I suspect you’ll find parts of it familiar. 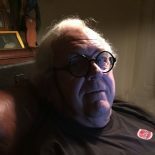 Here’s our tour schedule, in Parts 1 and 2 today and tomorrow, interspersed with tidbits gleaned from Baedeker’s London and its Environs, 1905, as well as from my Internet sleuthing in somewhat more recent times, namely the present. The Bells of London Town. Say the bells of St. Margaret’s. Say the bells of St. Gile’s. St. Gile’s is known as the Poet’s Church. Image by Prioryman. 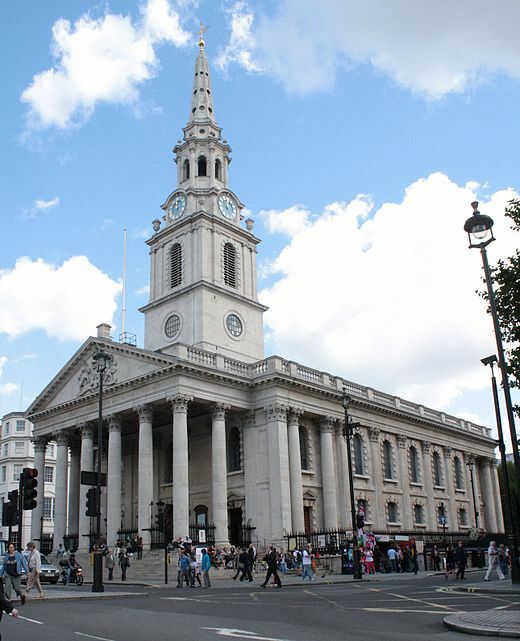 On Trafalgar Square’s northeast corner, Baedeker’s notes, “is the church of St. Martin in the Fields, with a noble Grecian portico, erected in 1721–26 by Gibbs, on the site of an earlier church.” Classical music lovers know it from the Academy of St. Martin in the Fields, the orchestra founded by violinist Neville Marriner in 1958. The initial chamber group was known for performing sans conductor, a role that Marriner assumed in 1970. St.-Martin-in-the-Fields. Image by Robert Cutts. There are two St. Clement’s, the one of song in Eastcheap; the other, St. Clement Danes, in Westminster. 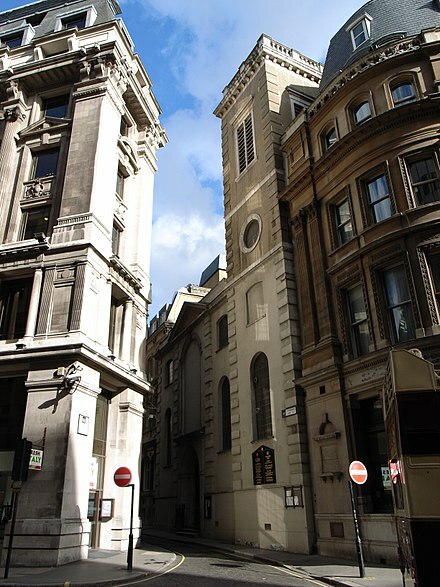 Baedeker’s writes, “In St. Clement’s Lane, to the left, is St. Clement’s Church (open 12–3), built by Wren in 1686….” Indeed, there’s been a St. Clement’s on the site possibly since 1067 and well-documented since the 13th century. Baedeker’s refers to the one built after the 1666 Great Fire of London. St. Clement’s Eastcheap. Image by Steve Cadman. 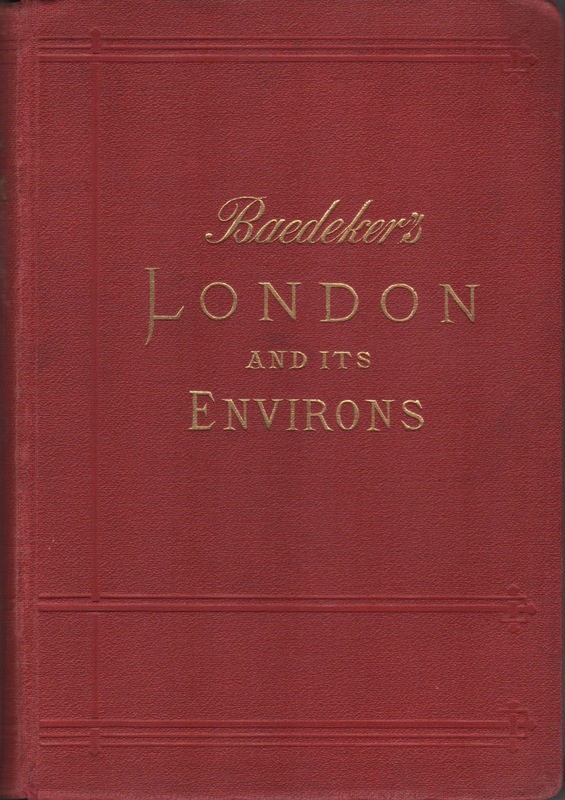 Baedeker’s tells us about three London St. Peter’s, in Cornhill, Clerkenwell, and Eaton Square. My money is on St. Peter’s Cornhill. What about yours? Say the bells at Whitechapel. According to Wikipedia, the verse’s Whitechapel refers to St. Mary’s, Whitechapel, aka St. Mary Matfelon. Alas, neither is listed among Baedeker’s 11 St. Mary’s. 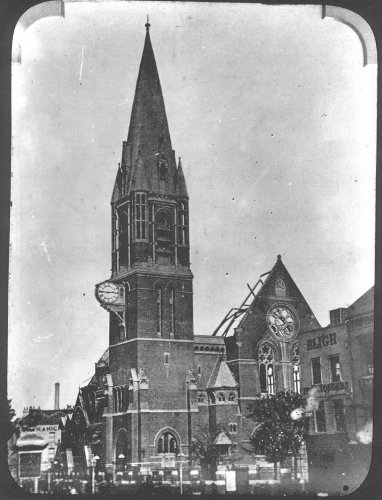 St. Mary’s Church, Whitechapel, a third church on the site consecrated in 1877; it was devastated by fire in 1880 and repaired. This one was heavily damaged in the Blitz in 1944; it was finally demolished in 1952. I searched Baedeker’s without success for mention of these principals. Say the bells at St. John’s. Neither Baedeker’s nor modern sources identify the song’s precise St. John’s. My money is on St. John the Evangelist, the one in Smith Square, not the one on Notting Hill. This entry was posted on April 11, 2019 by simanaitissays in Just Trippin' and tagged "Baedeker's London and its Environs" 1905, John's Church Smith Square London, Oranges and lemons/Say the bels of ...", Queen Anne's Footstool, St, St. Clement's Church Eastcheap London, St. Gile's Church London, St. Margaret's Church London, St. Mary's Church Whitechapel London, St. Peter's Church Cornhill London, St.-Martin-in-the-Fields Church London.